This week the scavenger hunters are looking for hair products. Nancy's Doll Closet has everything you need to do give your special American doll a new hair do. 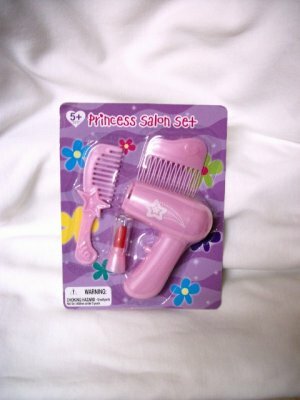 Of course you need the Princess Salon Hair set to get started. 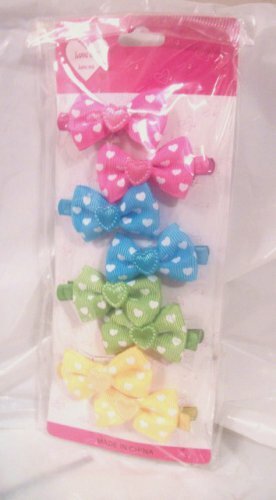 Add some snazzy barrettes likes these. Now the touch up hair brush for the loose ends. Finished! A fabulous new hair style for your doll. One of the outings my best friend's family took was a Sunday afternoon drive to the country to look at the cows. Can you imagine? I always got roped into going because I was her BFF. lol We would pile into the family station wagon and across the Delaware Memorial Bride we would go to New Jersey. If my friend and I were lucky, we could slouch down low enough so we couldn't be seen. However, it wasn't long before her dad commented sit up girls and look at the beautiful Jersey cows. Since I am a city girl, I remember thinking I would never live here. Years later I did end up living in New Jersey. My BFF loved to tease me about just driving down the road to look at the cows. If you are a Jersey girl and proud of it. We have just the T shirt for you. A custom embroidered I'm a Jersey girl shirt. The shirt is embroidered on our premises and ships from our store in Hainesport, NJ. We have other Jersey themed products as well. Stop by our eCrater store to take a look. Today, the jar is an unique kitchen collectible. To see the grease jar and other listings, visit the eCrater Stores Network. The top to do on my bucket list is for hubby and I to travel more. 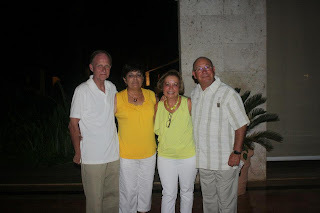 Last August we and our best friends flew to Punta Canta for a seven day stay. Even though we were bumped from our return flight and had to stay an extra night, it was an awesome vacation. The perks we received from the airlines made it so much easier to swallow the delay. They put us up in an all expense paid 5 star resort and gave us vouchers for a future flight. We are already in the process of planning our next trip. This time, though, we are going to stay in the States and visit Key West. So far, we plan to fly into Miami or For Lauderdale, rent a car and drive to the Keys. One thing we both realized we needed was a compact; but roomy carry bag. 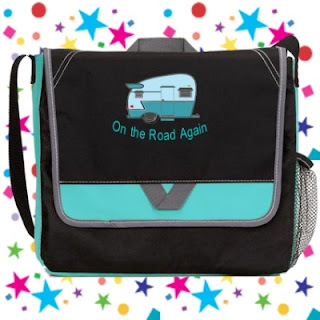 So, hubby is embroidering one of our on the road again messenger bags for both my friend Kathy and me. 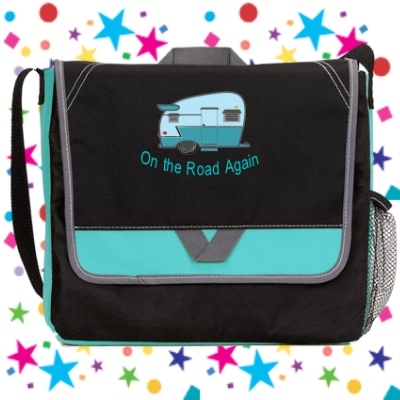 It is the perfect bag for traveling. It has lots of space to organize our travel documents , to store our water bottles, our cell phones, cameras and anything else we need. Take a moment and visit our eCrater store to see more of custom embroidered totes and bags. The theme for this week's ESN scavenger hunt is movies. I remember the first time I went to the movies. My dad took me downtown to see Disney's Cinderella. I still have my souvenir glass slipper somewhere. My choice for the movie theme was very difficult. There are so many good movies available on VHS today. I choose two of my favorites from Bargain Express - Toy Story and Snow White and the Seven Dwarfs. In my opinion, both are timeless movies and appeal to kids of all ages. Toy Story is the tale of the 2 top toys in the toy box - Woody and Buzz Lightyear. Their rivalry lands them in a tough situation and how they work together to become best friends. Snow White and the Seven Dwarfs is the saga of the lovely princess and her evil queen stepmother. Snow-White flees into the forest where she is befriended by the seven dwarfs. Despite their loyalty, the queen manages to cast her evil spell. The spell can only be broken by love's first kiss. Both movies are in the VhS format and are pre-owned. The videos are in good working order and are guaranteed. Bargain Express has several pre-owned VHS video from which to choose. You are sure to find one for your next Saturday night at he movies. 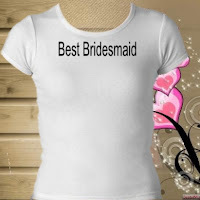 Our Best Bridesmaids embroidered t shirt was inspired by the 2011 movie, Bridesmaids. Bridesmaids is a comedy about the competition between the maid of honor and a bridesmaid over who is the bride's best friend. In my experience, the competition occurs in almost every wedding party. It is unfortunate; but, it does happen. 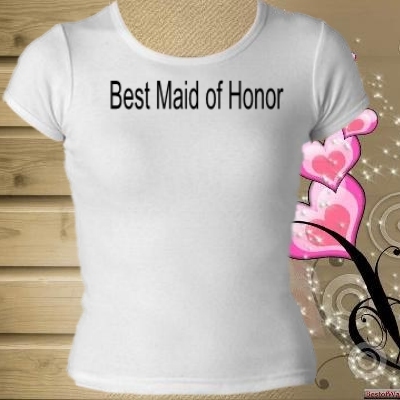 A sure way to make each member of your wedding party feel special and appreciated is to give them each a one of our Best Maid of Honor, Best Matron Honor, or Best Bridesmaid shirts. At Embroidery Fashions Boutique you'll find numerous wedding themed t shirts for everyone in your bridal party. To see of our custom embroidered shirts and hats, visit our eCrater store. It's time to finish my selection fort his week's scavenger hunt Friends theme. I decided to hunt for the perfect gift for one of my favorite friends. I stopped by Le Petit Marche's eCrater store to see what she had listed. I was looking at some of her products and I spotted a gorgeous Italian glass wine decanter. It is a beauty. The decanter has a removable glass tube for holding ice. It is preowned but in good condition. The Italian Wine Decanter from Metastil would make a lovely gift for friends or family. Does anyone remember the Girl Scot song, Make new friends? Fortunately, I am a people person. It is relatively easy for me to make new friends. I n fact, my hubby has been known to comment do you know everybody? lol Friends were always important to me. I have learned over the years there are three types of friends in life: friends for a reason, friends for a season, and friends for a lifetime. And I have experienced all three types. 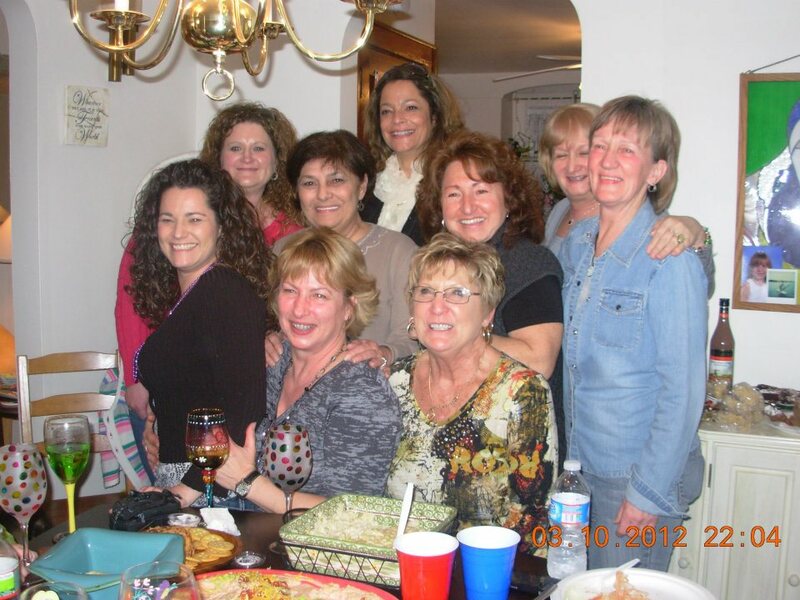 There was a time when I had to branch out and meet a whole new set of friends. Fortunately, I was able to do so when I started taking country line dance lesson. Even though our lives have gone in different directions, we always manage to get together a couple of times a year. Every now and then I like to give them all a t shirt which will remind them of our friendship. One Christmas I choose the Group Therapy t shirt. This year I choose our Line Dance t shirt. After all that is how we all met. I have a little catching up to do for the scavenger hunt blog because it has been a busy week for me. My dear mother in law was in the hospital and now is in a rehabilitation center. I try to visit her everyday. So, some things just get put on next week's agenda. For the office theme, I choose the Bucket Boss canvas briefcase from Sirocco's Curio. The briefcase/messenger bag has numerous pockets, both large and small as well as separate areas to store files or papers. The canvas briefcase works perfectly for someone who works at the office and from home. The briefcase is in excellent unused condition. To see more of Sirocco's Curios unique items, visit his eCrater store. FWe are hunting for snow themed products on the ESN scavenger hunt blog. I personally do not like snow, never did and probably never will. However, I have a few friends that are snow fanatics. They're ecstatic because we have 1-3 inches of snow predicted for tonight. It's nowhere near a blizzard. But, they love it. I know one of the members has been praying for snow. My choice for the snow theme is the Hooray For Snow Days custom embroidered unisex hoody The hoody is so adorable. It depicts a penguin dressed for winter and juggling snowballs. The hoody is available in youth sizes. The Hooray For Snow Days hooded sweatshirt is custom embroidered on our premises. Le Petit Marché On-Line Variety Store: Let It Snow... Somewhere Else!